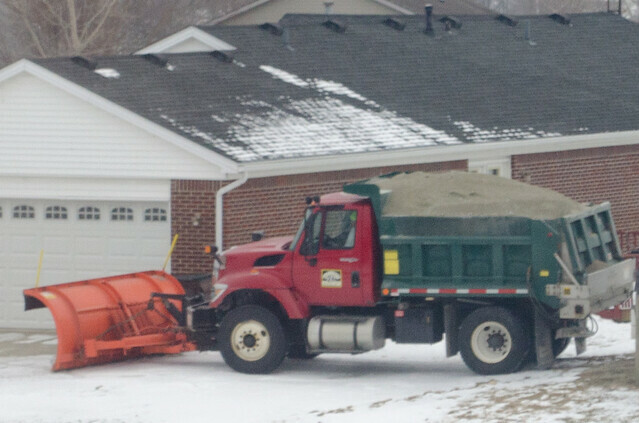 My neighbor drives a snowplow for the county, which means this winter he has been very very busy. We’re supposed to get between six and ten inches of snow tonight, and as you can see my neighbor is so very ready for it. Good for him. I myself will probably just stay in bed all day tomorrow. I think it’s better for everyone that way. Anything look good to you? Share in the comments. What’s some good advice you’ve gotten on the craft of writing? I’m not talking airy, metaphysical revelations that someone dropped into your skull on what writing means, or anything like that. I mean, actual useful tips on the practical matters of stringing words together, and then editing them. Stuff anyone can implement to improve their writing. Here’s mine, which I received from an editor whose name is now unfortunately lost in the pudding that is my forebrain: Read what you’ve written out loud. I’ve noted this before, but it bears repeating. Reading what you’ve written out loud will allow you to catch basic copy errors that your brain will skip over (your brain knows what you meant to write, after all, as opposed to what you actually did write), and will also let you know if, for example, something you’ve written as dialogue actually sounds like people speaking (good! ), or like exposition sandwiched between two quote marks (bad). When I read what I write out loud, I reduce my copy editor’s burden substantially. When I don’t, I end up getting e-mail, tweets and comments from people letting me know I’ve made some basic, stupid copy error. Don’t let this happen to you. So that was some very good, practical, “craft of writing” advice I’ve gotten. What good, practical writing advice have you gotten? Answer in the comments.